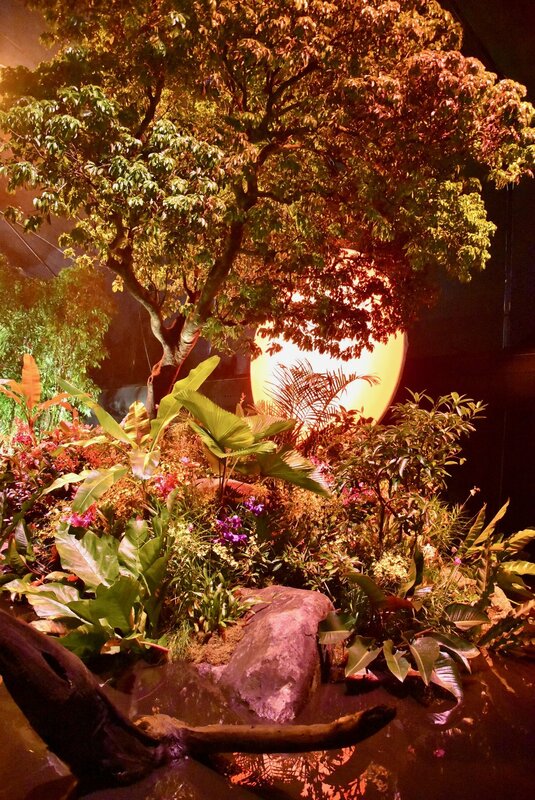 'Precious Land' is a show garden that appeared at the 2018 Singapore Garden Festival, a biennial event where top designers from around the world are invited to participate. Over 400,000 visitors attended the show held in the world famous 'Gardens By The Bay'. 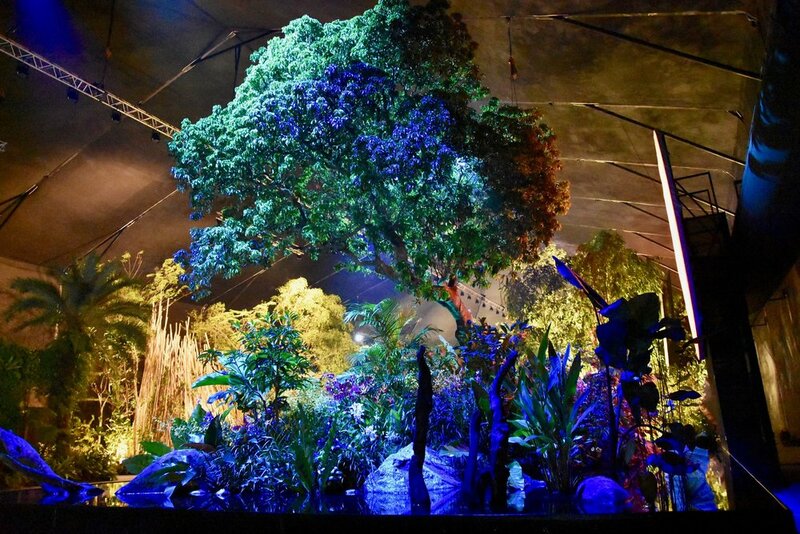 The garden was in the 'Fantasy Garden' category, where the exhibits are displayed inside a blacked out tent. The garden was awarded a gold medal and an additional prize for the best indoor lighting design. A vulnerable island filled with diverse tropical vegetation, including rare Singaporean plants and a beautiful mature tree, is surrounded by dark foreboding water. A brilliant sun lights the island from behind, bathing it in a vivid glow. The island represents Singapore, the plants its diverse inhabitants. The glowing sun and dark water symbolise the warming climate and the threat of rising sea levels. As a low-lying island, rising sea levels due to climate change pose an immediate threat to Singapore. By the year 2100 the average sea level off Singapore could have increased by up to one metre, while Singapore’s average temperature is projected to rise by 2.7 to 4.2 °C. According to the worst possible projection, sea levels could rise by more than six meters by the year 2500. Water, an essential part of life, could bring disaster within this century and beyond. Singapore is actively battling climate change, its lush vegetation, in particular its nature reserves and nature areas including mangrove swamps and trees in urban zones, continue to offer various ecosystem services including carbon storage and sequestration, helping to mitigate the impacts of climate change. Conservation programs including habitat enhancement and coastal protection will help to preserve the island’s rich flora and fauna and lead to climate-resilient ecosystems. Raised awareness and strategic planning will help to safeguard Singapore for future generations. Although the outlook is foreboding the battle to preserve this precious land is not yet lost!